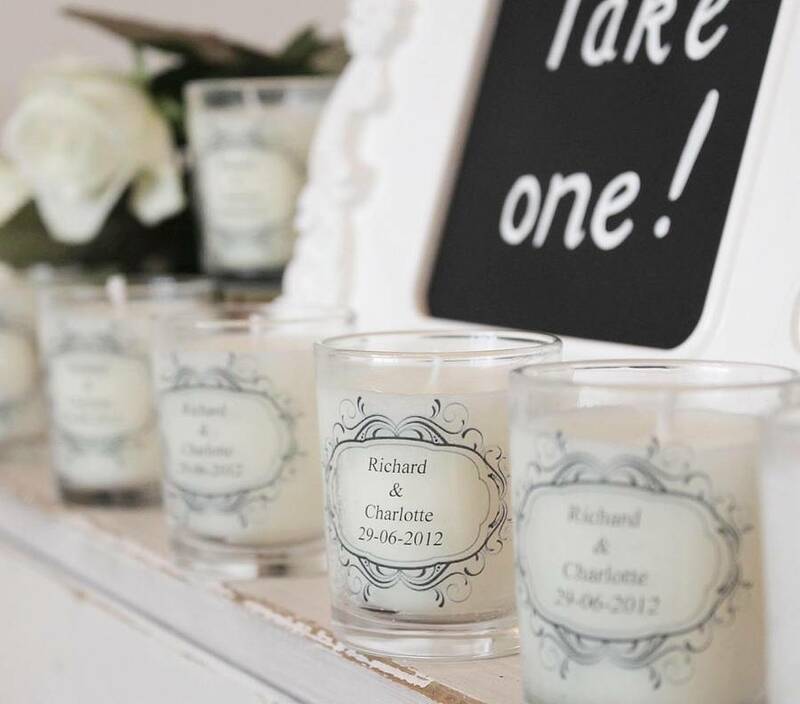 If you’re fortunate enough to be engaged to the man or woman of your dreams and are currently searching for thoughtful, heartfelt gifts to place in your wedding guests’ party favor bags, simply continue reading to discover a few personalised wedding favors that your guests will love. If you have a feeling that your close friends and family members may shed a few happy tears on your special day, you want to place a pack of tears of joy tissues in each of your wedding guest’s party favor bag or box. To make your tissues a little bit more special you may want to place stickers on each packet or box of tissues which says tears of joy tissues as well as the date of your wedding. It’s well worth getting some of your favorite photos from your engagement printed off in bulk, so that you can place a photo of yourself with your soon to be wife or husband, inside your guests’ bags of wedding favors. As there’s a high chance that some of your loved ones will want to display a photo of you and your new spouse on their fridge or in a photo frame in their home. If you didn’t take any photos on the day of your engagement, don’t worry simply print off some of your favorite photos as a couple, instead. In order to make it a little easier for your friends and family members to be able to proudly display the engagement photo which you gifted them, it’s well worth popping a decorative magnetic photo frame in your wedding guests’ party favor bag. Which will allow them to place your photo on their fridge as soon as they get home from your special day. While many couples choose to put chocolates in their bag of wedding favors, not many couples go to the trouble of having personalised chocolates created for their wedding. If you’re intrigued by this particular idea, you may want to get your initials and your finance’s initials placed onto your chosen wedding chocolates. In order to really wow your wedding guests. As a wide variety of chocolate companies will be willing to create a unique chocolate mould for your wedding day. In keeping with the theme of your wedding, love, it’s a great idea to place miniature books filled with your favorite quotes about love or your favorite poems about love in your wedding guest’s party favor bag. If you can’t find a miniature book of love related quotes or poems, which you like, you can always make a few handmade miniature books about love. Depending of course on how many guests you plan on inviting to your big day. So, hopefully after reading the four personalised wedding favor ideas listed above, you’re not inspired to start planning your own wedding favor bags or boxes.